Provides the Liferay Item Selector component tags, prefixed with liferay-item-selector:. group-selector Creates a UI to select scope groups (groups). image-selector Creates a UI to add images. It renders a drag and drop area and a button to open a selection dialog. 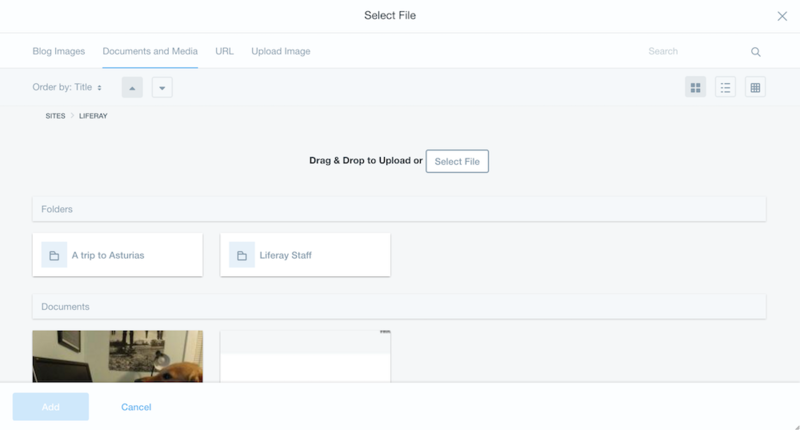 It works as an image viewer if an image is selected. repository-entry-browser Creates a UI to show file entries.